Shelter is just a personification of what our atmosphere does, protecting us from solar wind, astroids, etc (paraphrased). Reware offers new and inventive products that utilize renewable and sustainable energy technologies, from environmentally-conscious clothing to solar backpacks that charge electric appliances. 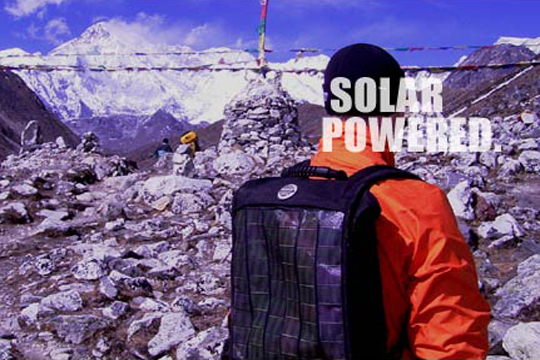 The Profolio, for instance, is one of the latest "juicebags" to be offered, acting like a briefcase but with a revolutionary thin and flexible solar charging system that charges all iPods, cell phones, GPS, cameras, etc. Through "better processes, better materials, and better ideas", they seek to change the way that manufacturers and customers operate.